In the aftermath of the Greek elections, solving the debt issue is the priority. However a menu of options is on the table, political will is necessary. 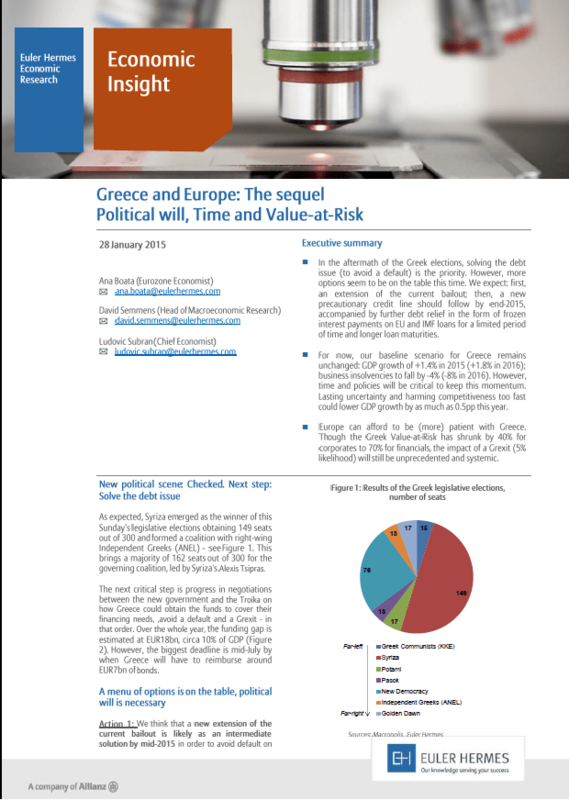 Discover in this document the detail of the different scenarios and what to expect for the Greek economy ?